I have been thinking for quite a while about how much I like the look of smooth lacquered walls. For my own home there are two problems with that fact..one being it would be very expensive to have done and two the walls in my home would have to be retextured. With that I have long thought about trying to achieve the lacquered look with minimal cost and time.....then I remembered a spread from a space in Domino where designer Celerie Kemble came up with some really great solutions for transforming an apartment space....VINYL WALLPAPER. The above vinyl wallpaper that Kemble used is from the etchings collection and can be found here. 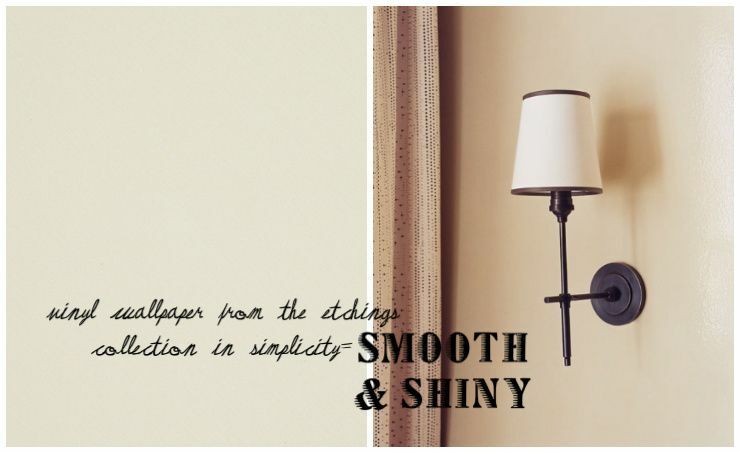 Actually vinyl wallpaper is very easy to come by and so inexpensive...you can find many other sources with ease. We recently looked at a space that had a built in around the bed. At was not attractive to say the least but Ms. Kemble pulled off that built in by working with what she had by covering the shelves in a grass cloth, painting details and having a custom tufted headboard made to fit snuggly into that nook. 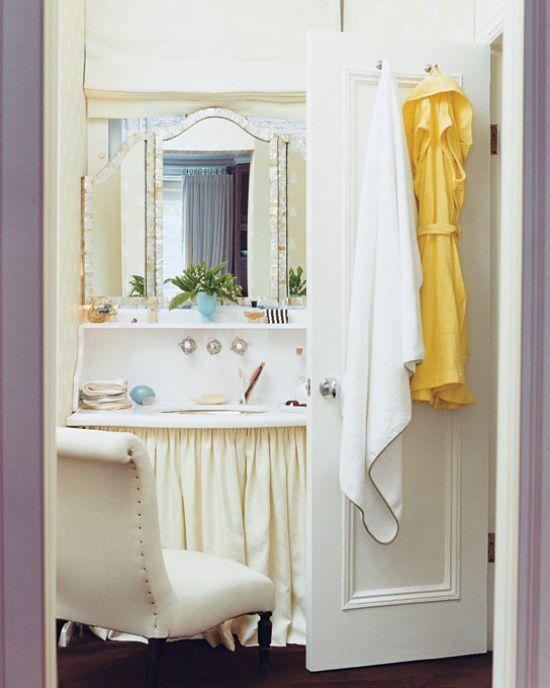 Also love that she covered up a bad view by placing that little vanity with a large trifold mirror in front of it. 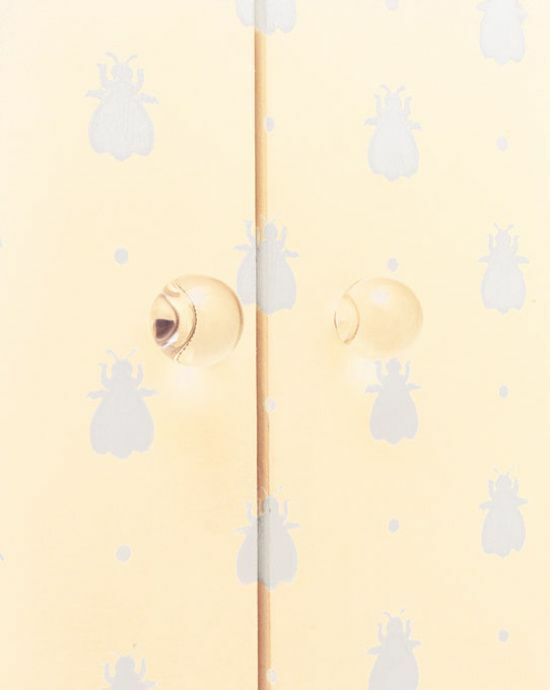 That insect wallpaper was used to cover closet doors while adding a touch of whimsey. Another inexpensive way of achieving the look of lacquer is after you paint your color, go over it with a coat of polyurethane. On my blog I posted a pic of a friend of mine's staircase wall done in hot pink with poly over it.